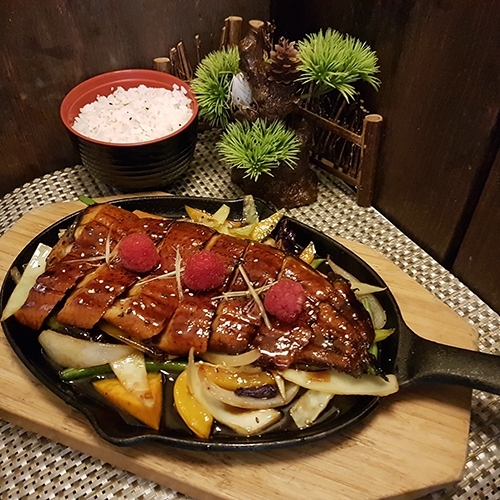 Grilled eel, vegetables with special sauce. 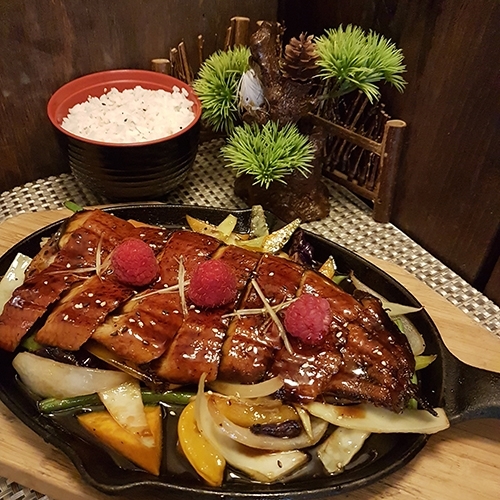 Vegetables are underneath the grilled Eel. Steam rice on the side.